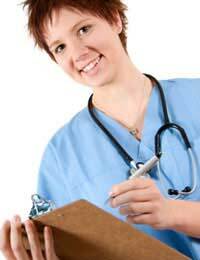 A nurse has many responsibilities in the rehabilitation of a person who has needed hospital treatment. In fact, this article can only really skim the surface of what a nurse actually does as there are so many specialist nurses these days that have even more responsibility placed upon them than ever before. However, in general terms, the information below outlines the primary duties and responsibilities which are at the forefront of all nursing care. Underpinning all of the responsibilities of a nurse is the duty of care to their patients. They make sure that the patient is comfortable, ensures that the patient is getting enough food and drink and they help the patient to get sufficient rest and sleep. The nurse is responsible for taking care of the elimination of waste fluids from a patient when they are not able to go to the toilet. They will wash and bathe them and ensure that the patient does not suffer with any pain. They will help to keep the patient as mobile as possible to avoid the consequences of things like pressure sores and stiff muscles and joints and they will also offer emotional support to the patient on the road to recovery. A nurse’s role encompasses far more than simply care. They will work alongside the doctor and/or surgeon to support them in the actual medical treatment of the patient. For example, a surgeon may well have performed the operation but it will be the nurse who will set up things like an intravenous line to administer drugs and the nurse will be the person who changes dressings, gives the patient any injections and who administers other pain killing medication. Of course, all of the treatment will have been authorised by the doctor or surgeon first but it will be the nurse who often determines when certain procedures post-surgery are carried out and it will also be their responsibility to closely monitor the patient’s progress and to feed that information back to the doctor/surgeon. The nurse will be at the very heart of the joint team effort in ensuring that a patient makes a full recovery. They will work alongside doctors and other nurses as well as physiotherapists and other members of the medical team co-ordinating all of the various follow-up treatments and sessions which the patient needs to attend whilst in hospital. The nurse will ultimately be responsible for the protection of the patient whilst they are in hospital. This is demonstrated in numerous ways. For example, they will liase with cleaning and housekeeping staff to ensure that the patient’s living space is kept clean and free from infection and will also ensure that the patient cannot come to any harm in terms of helping them walk without tripping, making sure they can get and off the toilet and, in general, they make sure that the patient stays safe as well as protecting their dignity, when it comes to things like having to wash and dress the patient. Although the patient will receive advice from surgeons and the likes of therapists, it will often be the nurse’s role to ensure that the patient fully understands what is expected of them if they want to get well and carry on with all of their usual activities as quickly as possible. So, a nurse will often be the person who will reinforce the rehabilitation program to the patient and who will give them and their family as much advice as possible about things like exercise, nutrition and the importance of rest and sleep and not overdoing things once the patient is able to go home. People are often very vulnerable when they’re admitted to hospital and it is predominantly the nursing team who will be responsible for giving the patient guidance and reassurance. Patients often form an emotional bond with the nursing staff and rely greatly on their support. Therefore, it would be fair to say that a nurse needs to be a teacher, a carer, an advisor, a trusted confidante and a friend and it is all of these facets which make nursing not just a rewarding career but places the role of a nurse at the very forefront of importance in health care.